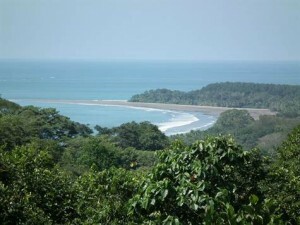 This is a great farm located in Uvita and just a few minutes off the paved road. It has 2 seperate entrances, an upper one and a lower one. They can be linked through the middle of the farm. There are 12 existing ocean view building sites and potential for more. There is a creek that runs down the middle of the farm and springs too. There are planty of areas that would be perfect for fruit trees and gardening. This farm would make a great development or homestead. The present owner had the vision of building a sustainable community and would love to see the new owner follow up with her dream. The farm could also be segregated into 2 farms and someone could buy half. It is hard to find a farm this nice with such great access! !